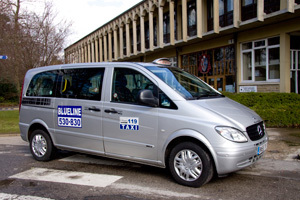 A taxi firm is only as good as its vehicles and here at Blueline Taxis, we boast nothing but the best. A vehicle of class and distinction. Popular amongst our corporate clients, look no further than our prestige fleet which will have you arriving in style and comfort. ** Estate and Prestige vehicles subject to availability. 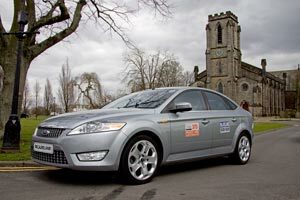 The majority of our fleet consists of modern saloon vehicles and we offer our airport taxi, school run and private hire services in our saloon taxis. This includes estate vehicles for those with luggage or planning a golf trip, for example. 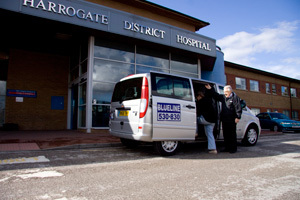 We are pleased to offer a fleet of wheelchair accessible taxis. Our drivers are highly professional and courteous and will offer our disabled passengers any assistance that they may require throughout their journey. 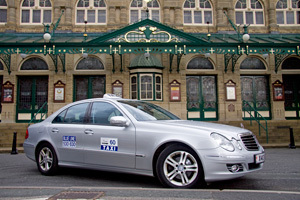 We know how important it is for Harrogate taxi firms to offer larger taxis for bigger groups and at Blueline we are pleased to offer taxis which will be perfect for big nights out or taking whole families to the airport.